NCO training - Wed 1 July. All other cadets are on standown as we hold one of our regular training sessions for the senior cadets. Maintenance Day - Sunday 5 July. Parents and friends are invited to come help us improve our Squadron facilities. There are lots of jobs to be done - big and small so any time you can offer to help would be much appreciated. The unit will be open 1000-1500hrs. Click HERE for a link to the jobs list so you can see what we need help with. Please contact the Squadron if you have tools you can loan us or if you are available to help out on the day. Thank you. NEW!!! 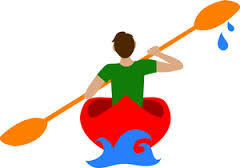 White Water Rafting Taster Session - Sunday 12 July. If you are keen to have a go, get wet and experience the downhill thrill of the rapids at Cartington Water then sign up either in the Squadron or by emailing the OiC ASAP. LIMITED PLACES! Only £6.50 per cadet. Times: 0815 - late afternoon. Cadets attending need to make sure they check the kit list and bring consent forms, proof of swimming ability, money and wet & dry kit....oh and a towel! Enjoy! On Wed 15 July the Squadron will experience a visit from a practicing barrister who will talk to the cadets about his role within the legal system, his qualifications and skills which have helped him get to his current position. Come Dine with Ma'am - Sunday 26 July. The annual cooking competition will take on the popular TV show format with teams of cadets preparing a three course 'themed' meal for the staff to sample. More info coming soon. Fire Section Visit - Wed 29 July. Fire crew from Coventry Airport station will visit the unit to demo some of their equipment and get the cadets working hard rolling out hoses! Be prepared to get wet!!! As well as all these amazing events we will have cadets and staff attending camps from Southwick Park (the MOD police training academy) to RAF Cyprus. We wish them all bon voyage and a safe trip. We will await their stories and photos upon their return.